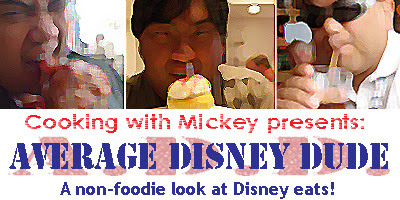 Cooking With Mickey: ADD: Top 5 All You Can Eat at WDW! ADD: Top 5 All You Can Eat at WDW! Hungry? If so here's this months Top 5 is for you. One thing that most foodies don't nearly write enough about are buffets or bottomless plates. So tie on your bib for the "A.D.D. 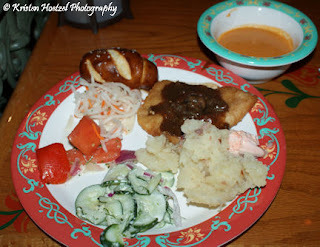 Top 5 - All You Can Eat Experiences at WDW!" So without further a due let's start the countdown! This bottomless plate of food was made for carnivores! On a recent trip Kristen told me that I needed to be "hungry" as I was meeting up with her after work. Since I was running a few minutes behind I told her to use her better judgement and order something I would like. Little did I know she ordered this! The cast iron skillet came out with smoked pork ribs, pulled pork, oven-roasted chicken, beef brisket, mashed potatoes, cowboy beans and corn on the cob. There was also a mixed greens salad with apple vinaigrette, coleslaw, and fresh-baked cornbread. The salad was great, however the crowning jewel was the pork. The ribs and pulled pork were moist and flavorful. The barbecue sauce seemed to react a bit differently when added to the different meats which was quite surprising. It was fun to discover all the flavors the plate had to offer. I shared the pulled pork with Kristen and when we ordered more of it the server came up with a plate nearly half the size of the skillet with a huge mound of pulled pork! It was too much and at the end of the night the both of us had more than our fill. The service was outstanding and the vibe of Whispering Canyon was a lot of fun. It's a great place for the family and if you're looking to dine there with all the noise plan your reservations for an hour before closing. This plate of meaty goodness will cost you $28.99 per person. Three words... Pineapple-Coconut Bread! The bread is to die for. Kristen and I could have lived off of the salad and bread for our entire trip! I love the Polynesian resort and enjoyed 'Ohana dinner on several occasions but I've always wanted to try the Luau. So Kristen surprised me with an anniversary dinner there. The dinner show with all you can eat family-style platters celebrates the spirit of aloha, as well as the sights, sounds and tastes of timeless Polynesia. The show consists of traditional Polynesia music and dance. There is also a live band and singers there to lead you in singing some of the most memorable Disney music like "Hawaiian Roller Coaster Ride" from Lilo and Stitch. The open air theater and theming was just perfect for a nice dinner show. Let's talk food! 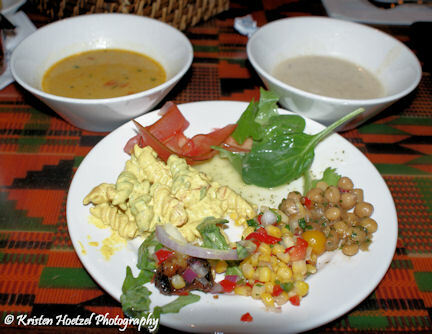 Appetizers include: Pineapple-Coconut Bread, Mixed Greens with Mango Poppy Seed Dressing and Sweet Golden Pineapple. For the main course: Barbecued Pork Ribs, Roasted Chicken, Polynesian Rice and Seasonal Vegetables. For dessert: Kilauea Volcano Delight. The show lasts around two hours and it will be important for your table to plan ahead. We were disappointed by the fact we didn't get our drinks in time and never got what we wanted in a timely manner - and it wasn't just us but our entire area. Unlimited refills on beer and wine were to be included in this dinner but we due to our server we only got one drink each. Our server seemed to be "somewhere else". The meal also cost us two Disney Dining Credits each so for the issues regarding the service made it difficult for me to swallow. All that aside I still thought the entertainment and most of all - food were outstanding. The cost for this experience starts around $52 per adult with several tiers to choose from. This all you can eat Character Breakfast is my favorite at Walt Disney World. Join Mary Poppins, Alice and the Mad Hatter for a Supercalifragilistic buffet featuring a wide array of items from the standard Mickey Waffles to the unique Strawberry Soup. Do check out the "create your own omelette" station and Challah bread French toast. The combination of unique breakfast items and special character interaction makes this a Disney "Must Do." Party with the Mad Hatter for $22.36 per adult. Ok Christopher. You've got it! Beer, meat and potatoes is what the Beirgarten is all about. Just as in the German tradition of Oktoberfest, frauleins in peasant costumes serve steins overflowing with beer, while we patrons feast on such traditional Oktoberfest fare as roasted chicken and seemingly endless varieties of Sausage called Wurst. There is also a polka band "Oktoberfest Musi Kanten" that will entertain you with songs to swing your beer mugs to as well as get the kiddies dancing - a great way to get them to wear them out! The food does tend to be on the heavy side with dishes like: Hausgemachte Spaetzle (Homemade Spaetzle), Wurst Platte mit Gegrillter Bratwurst, Mini Regensburger und Kassler Ripchen, Sauerbraten (Marinated Pot Roast) and Potato Dumplings with Bread Crumb Butter. Do try the Lachs Filet in Zitronen-Dill- Sahne Sauce (Salmon filet with a Lemon Dill Cream sauce Bremerhaven Style)and Cream of Potato and Leeks soup with Pretzel Croutons. Like German tradition you will be sharing seating with other families so feel free to start making friends and share stories of your vacation. Kristen and I had a blast last year meeting up with fellow Sorcerer Radio DJ Jeff Davis for dinner there and we had some great conversation with the people we were sat with in the process. Oh... huge beer steins also makes the night more memorable! If you can't finish that beer before you leave feel free to ask your server for a to-go cup and take it with you for that long death march out to the front of Epcot - you'll thank me later. Sample some killer sausage, pretzel bread and beer all for $27 per adult. 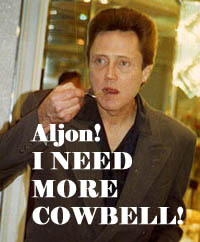 Did someone mention "more cowbell?" Boma is probably the most popular of our all you can eat experiences at the Walt Disney Resort, and for good reason. The buffet is amazing. It captures the essence of the African marketplace. It's also family-friendly so if the more exotic menu offerings sound a bit too out-of-the-box there is more than enough to please picky eaters. The restaurant showcases an exhibit kitchen, wood-burning grill and rotisserie. There are several stations to experience dealing with meats, fish, deserts and several vegetarian dishes. I suggest trying the Coconut Currey Seafood Soup, FuFu (sweet and white potatoes mashed with coriander and cinnamon) and if your're feeling a bit more adventurous try the Bobotie (lamb and beef quiche with onions, raisins and bread). The staff there is always ready to answer your questions about the menu and will provide some helpful tips if you're not sure what you might like. Also, be sure to let the staff know ahead of time if you are celebrating a birthday or anniversary. The staff might just surprise your party for that special day! You MUST make reservations for this restaurant at least 180 days in advance! *TIP* If you're not able to get in you might want to check out the Tusker House at Disney's Animal Kingdom. 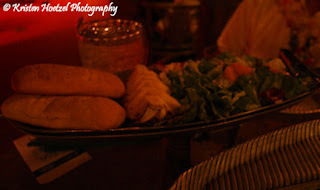 The menu is very similar and is prepared by the same chefs from Boma. Take a culinary trip to Africa for around $40. There you have it! Another Top 5 list from me, the non-Disney foodie. Do you have a favorite all you can eat experience at the Disney Parks or Disney Cruise Line? Please leave me some feedback so I can research your favorite! Until next time stay sweet and keep it real! Great list, Aljon! Someone else recommended the Whispering Canyon Cafe on our last trip - I think we'll have to add that to our list of must-dos. Great list! 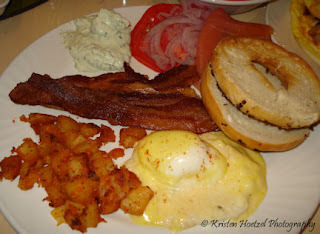 I don't know if you were including breakfasts as well, but if so, Cape May has been a favorite of mine for years. Their clambake at dinner is also excellent! I've done all of those except your #1- so now I have work to do! 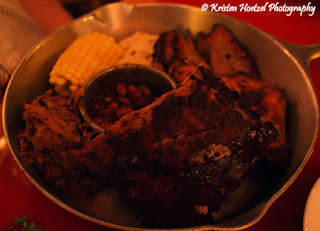 I have had the biergarten and the canyon skillet... CANT go wrong. We also really enjoyed the hoop de doo revue! I've done #1, #2 and #5 and they are definitely great. Cape May (both dinner and breakfast) should be at least Top 10. I have not experienced any of these. :( Must work on that! I love the hidden mickey out of plates in the Boma picture!